While Hawaii is the most oil-dependent state in the United States, it recently decided to set a goal of having 100 percent renewable energy by 2045. This is the most aggressive clean energy goal in the country. What seems like a huge paradox has been taken as a great opportunity. According to the U.S. Energy Information Administration (EIA), Hawaii spends about $5.4 billion dollars on imported oil each year. This will change as the state acts on legislation that passed in 2015, House Bill 623. A wave swept around a rock near Lumahai Beach in Hawaii. To help Hawaii achieve its statewide energy and sustainability goals, coordination across sectors and organizational silos is key. He said the state is engaging in multiple projects such as its partnership with Japan to develop smart-grid technologies and the United States Navy’s plan to advance clean energy opportunities. Projects such as these require a high level of coordination to be successful. For Hawaii, declaring the 100-percent renewable energy goal is the easy part. Asking how to actually get there leads to a whole new conversation. One could compare the collaboration that is necessary to the Swiss approach where people diverge in interests because of different languages and cultural styles but still have a common goal. “How do you create a ‘Switzerland’ so that you can bring different people together to work toward the common focus?” said moderator Matthew Lynch, system sustainability coordinator at University of Hawaii. Ultimately, it is about bringing public narrative and private narrative together with a multi-stakeholder approach. To create an inspiring vision and open collaboration based on trust, you need to do three key elements to win: coordinate across sectors and silos, bring outside resources into the network, and create a trusted environment with leadership and action. 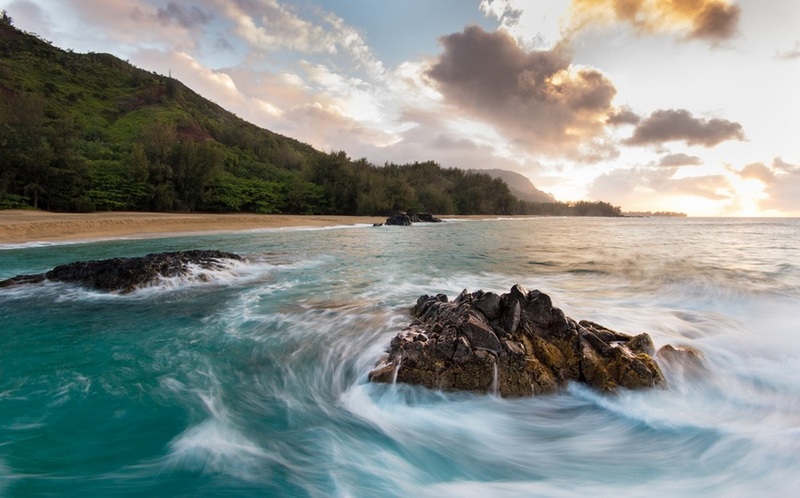 Hawaii Green Growth’s goal is to catalyze investments in the energy-water-food nexus by attracting resources through platforms where people and organizations meet and Hawaiian cultural values are respected. In her previous appointment as the director for Environment and Climate Change at the National Security Council and National Economic Council of the United Nations, Connors faced a similar challenge: How do you bring people together who are individually engaged and move them toward the same goal? In her former role working on the Sustainable Development Goals (SDGs), she said, she realized that “In order to achieve SDGs globally, we need hundreds of national security councils on a local level.” Thus, process and frameworks matter. In this spirit, Hawaii Green Growth launched the Aloha+ challenge, a statewide commitment to sustainable development. Having six ambitious goals, the challenge works towards the clean energy transformation, collaborating with partners to coordinate across silos and sectors to build trust, create goals, and drive action. The three key elements that make this possible are political will, high-level goals, and multi-stakeholder partnerships. “The Aloha+ Challenge is unique because Hawaii allows the highest level of political support and partnership with government, county mayors, state legislators, and other public and private partners,” Connors said. “For an island state facing a $20-40 billion risk in case of a natural disaster, putting in place effective networks is crucial,” Connors said. Connors said organizations such as the Hawaii Green Growth are “backbone organizations.” She defines these as organizations that work across sectors and silos to catalyze coordination, action and partnerships. Thus, they have a vital role in the success of this initiative. Another backbone organization is the Blue Planet Foundation. Through WEfficiency, a unique crowdfunding tool which breaks down the barriers that may be preventing nonprofits from adopting clean energy, Blue Planet Foundation helps nonprofits save money and become part of the energy transition. “There are a lot of barriers that nonprofits are facing when it comes to clean energy adoption. The main reasons are usually: no time, no expertise in energy, or no money. In all these cases, the technical solutions exist. It is the social system that creates barriers for action,” said David Aquino, director of innovation at Blue Planet Foundation. WEfficiency donations create immediate and measurable energy savings at low costs by using crowdfunded investments. This makes a $1 invested donation equal to $4 in energy savings. Together, all the current projects have a lifetime savings of up to $1.2 million. They will prevent emission of more than 5 million lbs of carbon dioxide. This is approximately the amount of 239 homes’ annual energy use. “By facilitating collaboration between organizations and helping design specific interventions that are custom tailored to address specific needs, Blue Planet’s WEfficiency provides a catalytic capacity building service,” Aquino said. Bringing outside resources into networks so that they can become learning organizations in themselves and become part of the solution is essential. Steve Chadima, senior VP of external affairs at Advanced Energy Economy (AEE), said he sees this also happening on an industry-wide level. Citing the example of New York’s utilities, Chadima said the challenges of becoming part of this new energy transition are significant. There are three main barriers when having utilities work with public and private partners to scale up distributed energy generation and microgrids: regulatory structures, financing challenges, and lack of information. This calls for a new work style which, when applied, can develop long-term sustainable solutions for all participants. Note: This event was hosted by GreenBiz, our content partner.